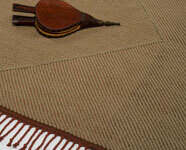 Weaver's Choice Wool is a selection of favorite wool rugs that Harriet has perfected over the years. Woven of resilient and long-wearing wool, these rugs feel great underfoot. 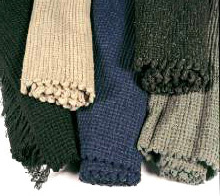 All Weaver's Choice Wool rugs are washable in cold water. Care instructions are included with each rug. Alternate rows of bundled wool and fine strands of jute create a wonderfully serene, hardwearing natural fiber rug. 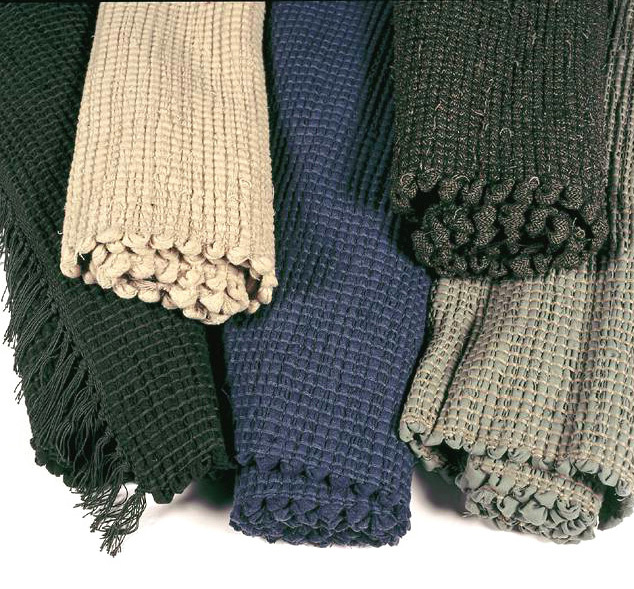 Please inquire about custom-dyed wool for room-size rugs. This traditional random design blends colors in a classic look. This design is easy to custom color. Please inquire. Alternate rows of thick wool and thin cotton produce a wonderfully textured, plush rug. A very thick plush carpet woven with lustrous wool yarn in both warp and weft and finished with a hand-tied macramé fringe. Please inquire about colors and pricing. Wool Block Design© - A contemporary block design featuring long-wearing wool warp and weft. It can be finished with self-bound or fringed ends. Wool Reverse Twill © - An unusual design featuring a graphic zigzag of opposing twill directions and bordered by a contrasting-colored warp. It is finished with a decorative binding and twisted-ply fringe or self-bound ends. Both rugs are available only in area or room-size by custom order. They are easy to custom-color. Please inquire. Weaver’s Choice Cotton and Block Design rugs may be custom-ordered in wool. Please inquire. but are available in any size. additional fee to set up a loom. Please inquire. ordering custom-sized rugs and finish options.